Daily Vlog No. 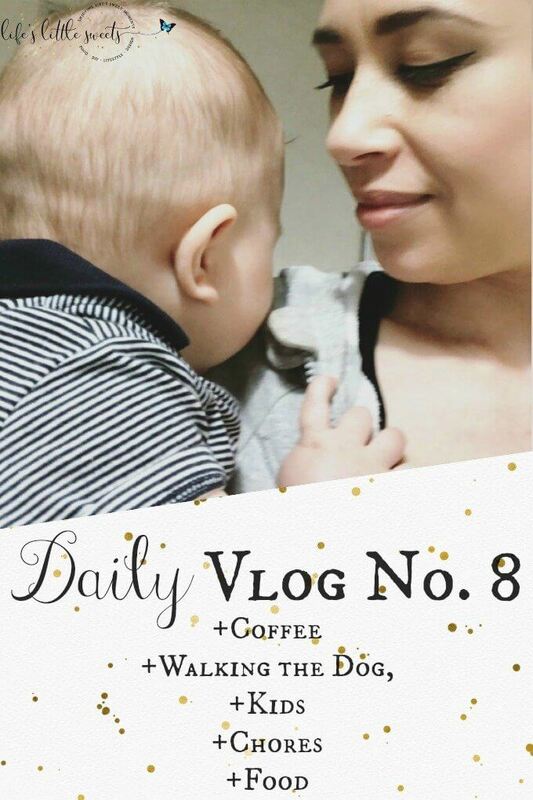 8 – Coffee, Walking the Dog, Kids, Chores, Food (video). Hi Everyone, welcome to my Daily Vlog No. 8! Did you see the last daily vlog? If not, you can see it, here. As a WAHM/SAHM mom, no two days are alike. It’s been interesting doing these vlogs every day for the past week. I definitely like it. Some days I feel more social than others when I think about what to share. I prioritize anything that might be interesting, cute, and helpful but the point is just to share some insight into my daily life. This vlog (below) didn’t show that I was working for a good part of the day, trying to catch up on things. What I love about doing these vlogs, is that I get to capture sweet, cute moments with my kids that I just want to save forever. They grow and change so fast and being able to capture those moments is priceless. I also like being able to record what I eat/drink and it makes sense because this is (for the most part) a food blog.